Okay, I don’t know if October is officially Steampunk Month, but for me, it is. For this entire month, I’m going to read nothing but steampunk books. What exactly is steampunk? …steampunk involves an era or world where steam power is still widely used—usually the 19th century and often Victorian era Britain—that incorporates prominent elements of either science fiction or fantasy. Works of steampunk often feature anachronistic technology or futuristic innovations as Victorians may have envisioned them; in other words, based on a Victorian perspective on fashion, culture, architectural style, art, etc. This technology may include such fictional machines as those found in the works of H. G. Wells and Jules Verne or real technologies like the computer but developed earlier in an alternate history. 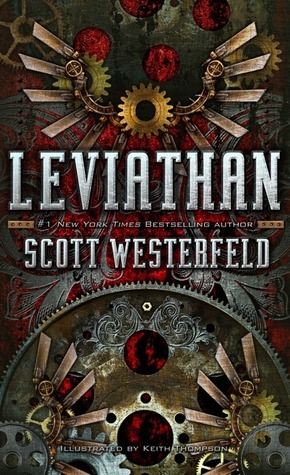 I already finished my first book on the list, Leviathan (review here) which was a decent introduction to the genre. It captures the mood of steampunk, as well as having a glimpse into the steam-powered technology. 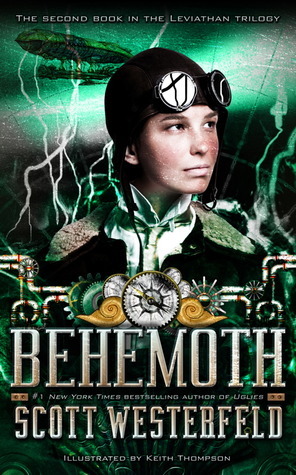 Coincidentally, Leviathan ended in a cliffhanger and the next book in the series was released today, so I quickly snatched up and started reading Behemoth. So far, it’s good, but the cover of the second book can’t compare to that of the first. 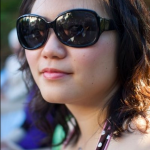 The rest of my steampunk to-read list can be found on Goodreads.